PRODUCT DESCRIPTION: This gel is designed to be applied into wood. Once applied, it's formulation will enable it to penetrate throughout the treated area. This enables superior coverage when pests are in solid wood and traditional liquid treatments won't reach where the pests are doing the damage. It has no odor and will last several years. TARGET PESTS: Termites, Powder Post Beetles, Old House Borers, Carpenter Ants, Mold, Mildew, Fungus and other wood infesting pests and algae. WHERE TO USE IT: Jecta Gel has a wide range of application sites. 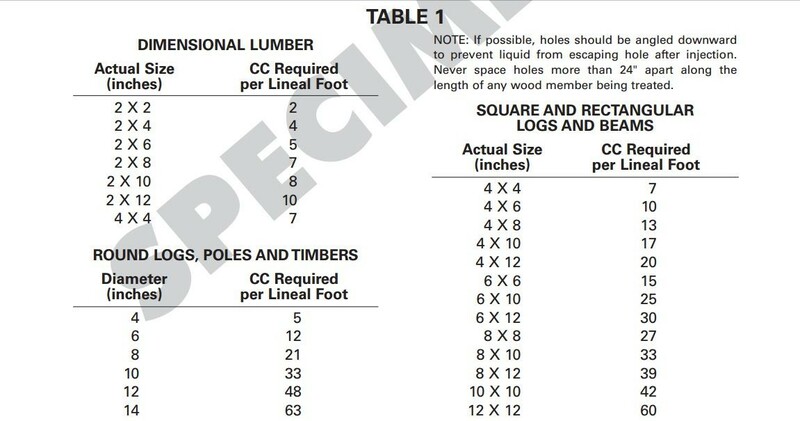 This includes cabinets, dressers, fine furniture, framing, molding, tables, chairs, works of art, structural members like sill plate, floor joists, rafters, window frames, door frames, posts used for decks and mail boxes, pilings on which houses are built, trellis, staircases, and just about any wood where protection or control is needed for wood infesting pests or fungus. RATE OF APPLICATION: This varies depending on the thickness of the wood and whether or not you are applying it for control or for prevention. Refer to the table above for general guidelines but if you need help, you can email us for more specific directions. 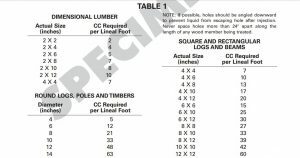 Since each tube has about 300 cc's, you should be able to calculate how much you'll need once you know the dimensions of the wood and how many linear feet you need to treat. 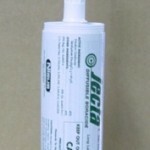 TOOLS NEEDED: Jecta Gel is packaged in "caulking tubes" which fit any standard caulking gun. So for most jobs, you'll need a drill to drill holes a long with a 1/4", 3/8" or 1/2" drill bit. You'll also need a caulking gun to inject the gel. I have a door frame made of cherry wood and the borer has made a 1/2 cm hole in the bottom part of the farthest part of the three door frame(French doors). Must I take apart all of the frame and put the wood through a gassing process of up to six days as the exterminator recommended? Or would the Jecto gel do a sufficient job and I can be relived of taking apart the whole door, windows, etc., etc?? I live in Israel and wood borers are not as common as in the United states I believe?! Most pest control companies will recommend fumigation because it is effective and it will kill all stages of borers. But there are several reasons why it wouldn't be best for this problem and one of the big reasons is the cost. And not only does fumigation cost a lot, it will not provide any kind of residual. That's right; as soon as the wood leaves the fumigation chamber, its vulnerable to attack again. And since there are no doubt some kind of borers in your home or close by, the wood needs a more permanent solution to make sure it doesn't happen again. The good news is you can easily treat the frame with Jecta Gel. And since this treatment will cost a fraction compared to fumigating and since it will provide a long lasting residual, it's no doubt the better option. To treat you will need to drill small holes into the frame. Now there is no need to remove the frame but drill holes will be needed. 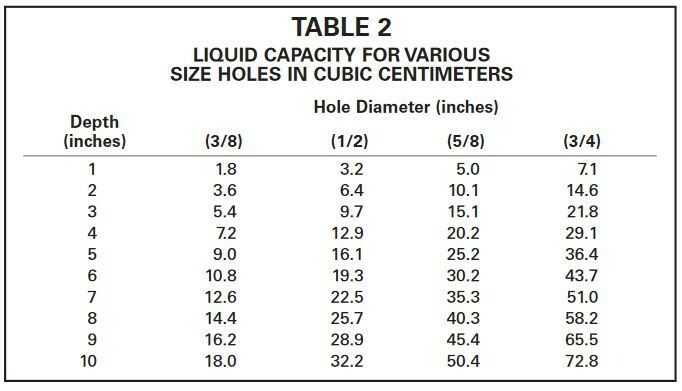 I would think 3/8" holes spaced every 6 inches will do the job fine. Basically you'll drill the holes along the center of the wood pieces spacing them every 6". Next, you'll then fill each hole with Jecta Gel. Lastly, you'll want it to soak in with the hole open (capping holes directly overhead may be needed with some tape to keep the gel from dripping out). Curing will take several days but it could occur faster if the wood is readily absorbent. Next, I recommend treating each hole at least twice to insure a thorough treatment is done. Lastly, cap the holes using a good wood filler. Now if the work is done properly, you won't even know the holes were ever present. In the end, this treatment will be worth the time since it will last pretty much forever. Hi. I live in North Carolina and recently had a barn wood wall installed in my living room. Supposedly, it was fired in a kiln to kill pests but that didn't work. We just have a few places in the wall where I occasionally see wood "dust" from the insects. An exterminator said we have to remove the wall, treat the wood then reinstall. I need to try something else first. I'd like to try the Jecta Gel in the obvious holes and in the seams of the wood. What do you think? And, will it change the color of the wood in any way. It's unfinished. If you read our powderpost beetle article, you'll learn that kiln drying wood will not cure insect problems. Its what wood processing companies do and have always done as a "protective" measure but even if it did kill everything when heated, as soon as the wood was placed back in the environment which contained wood destroying organisms, the chances are high it would get re-infested. We know because we've heard stories like yours for as long as we've been doing business. Second, the holes you're finding are adults leaving the wood. And when they emerge, they'll be seeking a mate and good place to lay eggs. That means this "problem" has a good chance to spread if left untreated. In other words, it could spread to other parts of the wall or worse yet, some part of your home. For this reason you need to get this handled ASAP. So what is the best way to proceed? I recommend treating the wood with Boracare. Its easy to use, mixes with water and can be "painted" on. The wood will appear "wet" like it would if you were to pour water on it but as it dries, it will return to its normal color. The Boracare will soak into the grain of the wood and penetrate through and through. And after 72 hours, you won't know its been applied since its odorless and will essentially be gone from where it was applied. Jecta gel, on the other hand, won't do nearly as good of a job of spreading in the wood, will take months to cure and is really best for finished wood where surface applications are not possible. I have a piece of very large and expensive furniture that has an active infestation of powder post beetles. It is varnished and painted so according to my online research, Boracare will not work. My pest control company does not treat this, so I am taking on this project myself. 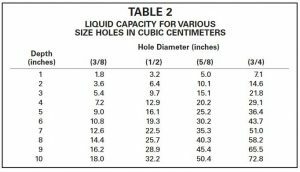 I am willing to drill holes in the back of the furniture (as it is against a wall) and inject the Jecta Gel…is this what I should do? Any direction in this matter would be much appreciated, thanks! You are spot on with what's needed. And the more holes the better. The label provides more details since the spacing of the holes will depend on how wide you drill each one. But the treatment can definitely be handled using the Jecta Gel and it sounds like you can make your placements discreetly which is convenient. We received a large wood carving for Christmas which has sat out in our garage all winter that we would like to bring into our cabin but have noticed numerous small holes with wood dust around them. What would you suggest using to treat this problem? You have a few options. If the piece is unfinished and will readily absorb water, treating it with Boracare would be a great option. But if the piece is mostly finished with a stain or varnish, then drilling holes and using the Jecta Gel above would be good. Lastly, FSMP Aerosol is also a good option.